Fitness and nutrition are the wellness formulae of health-conscious individuals. Today's busy executives, along with the not-so-buy but want to be healthy people, are scheduling a two hour visit to their gyms either during weekdays or weekends. Certainly a positive trend, especially when the heavy workouts are preceded by health-building foods that give adequate energy for these workouts. If you are the type that visits the gym after 8-9 hours work-day, you need to make sure that your body has sufficient energy for the two-hour workout. Light snacks which are healthy come to your rescue when there's a need for energy at the end of a long worked day. 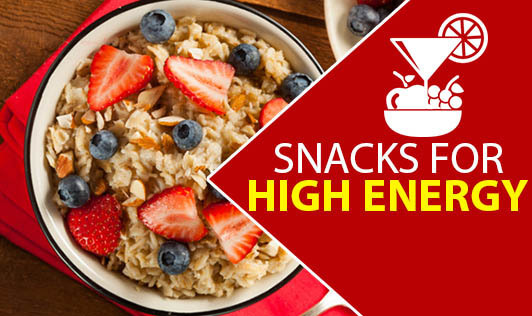 These snacks not only carry nutrition but also give you the energy boost before a workout. At the same time, they don't make you lethargic or sleepy if taken in small quantities. Don't forget to drink a glass of water 30 minutes before you begin your workout.